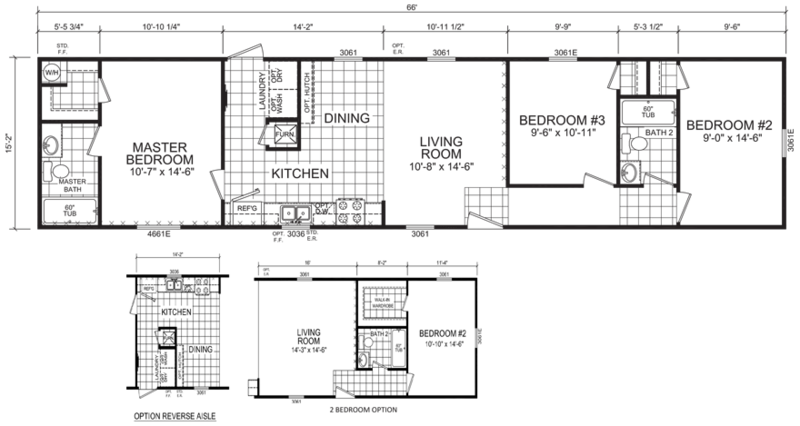 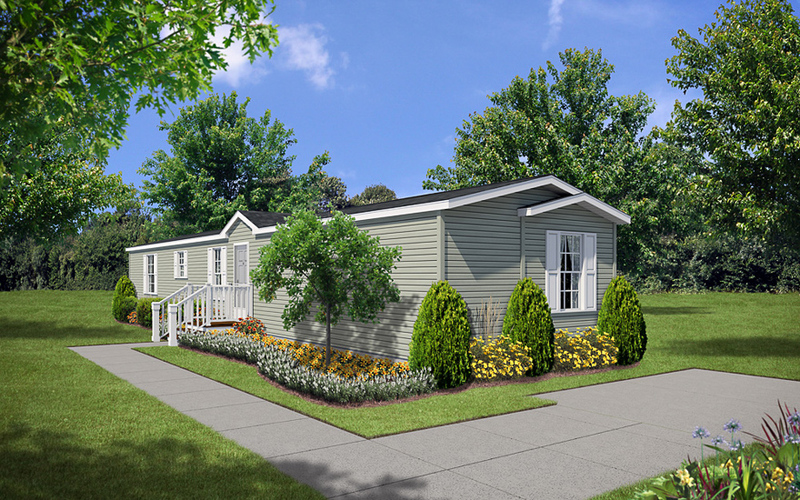 The Newton model has 3 Beds and 2 Baths. 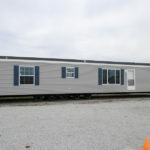 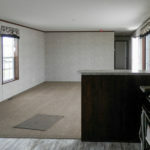 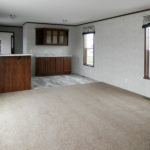 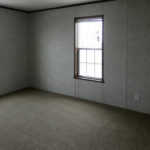 This 1001 square foot Single Wide home is available for delivery in Indiana, Illinois, Michigan, Ohio, Kentucky, Minnesota, Iowa, Missouri, Wisconsin. 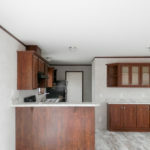 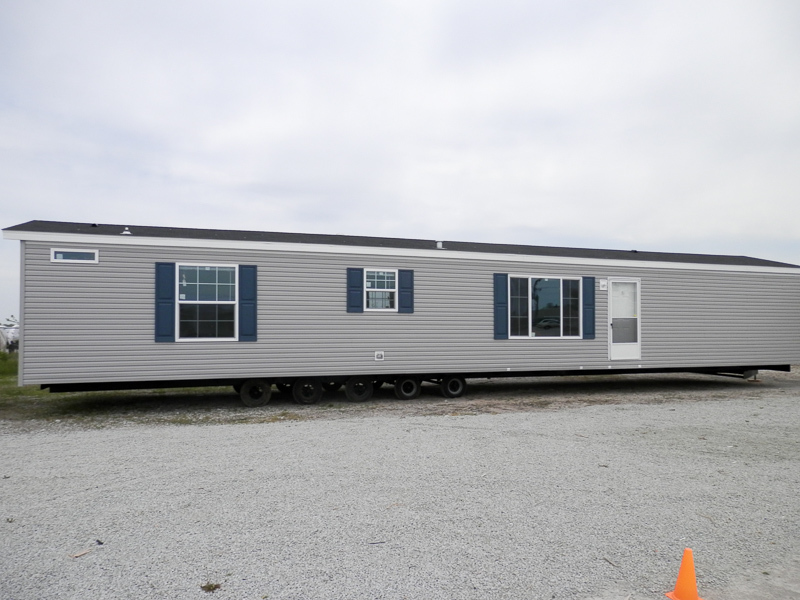 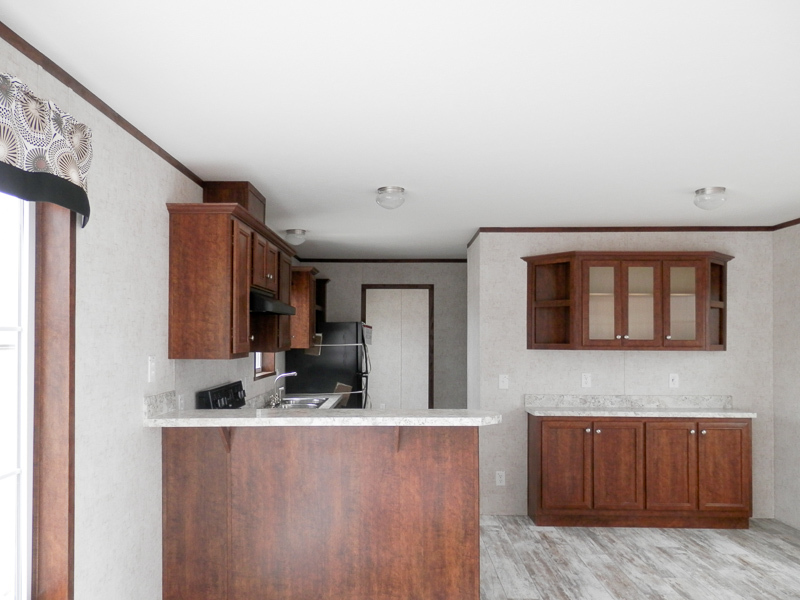 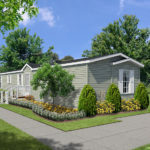 This charming single section model is brimming with all of the standard features one expects to find in a traditional site built home, but because it’s a manufactured home it comes at a fraction of the price. 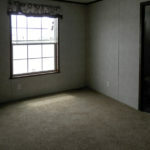 A large chunk of the square footage is devoted to the spacious master bedroom and the walk-in closet is a nice touch. 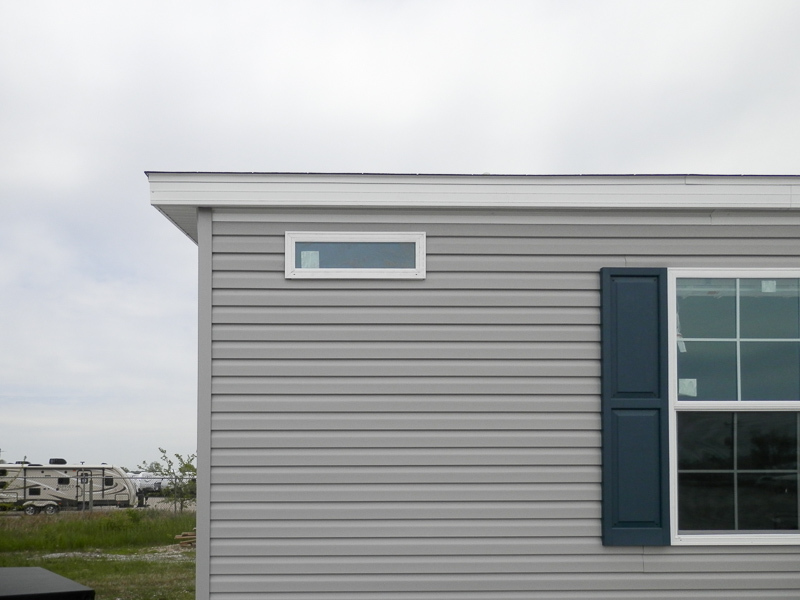 Exterior shown with Flint siding, blue shutters and black shingles. 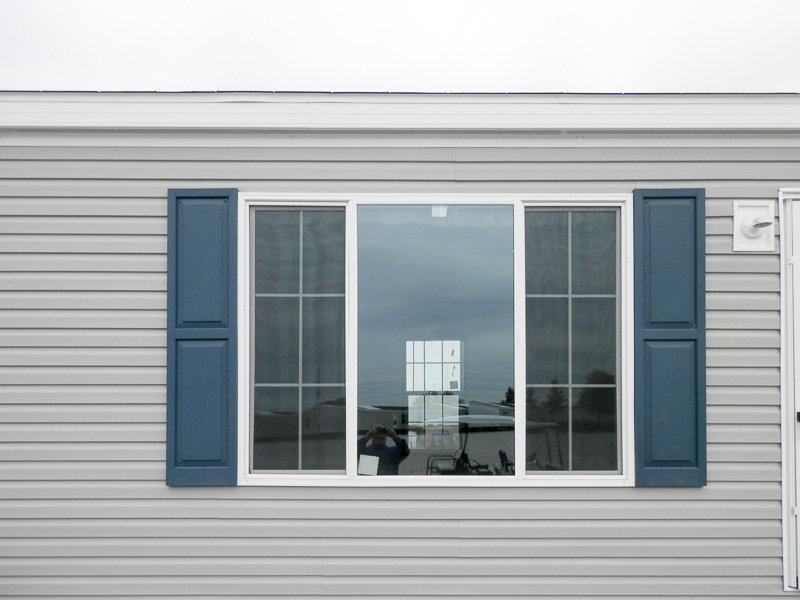 Also shown are optional picture window and transom window. 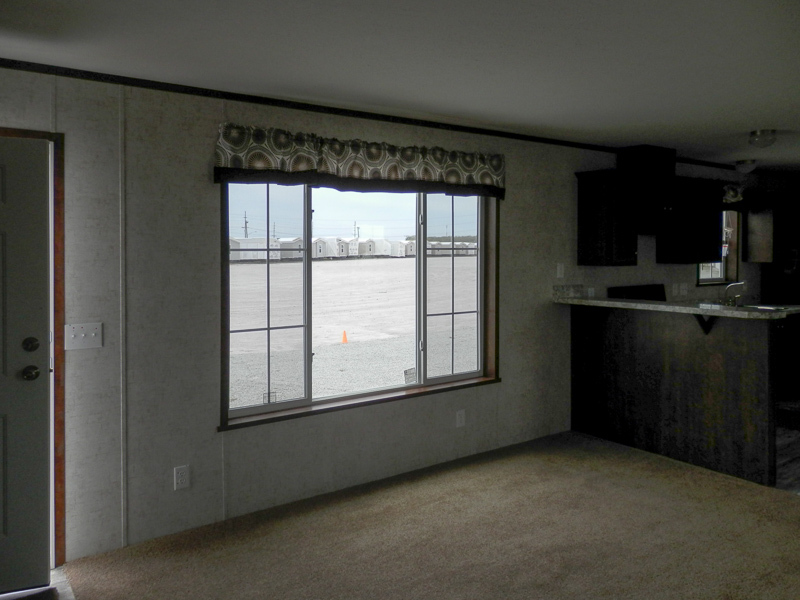 The optional picture window brings in additional light and offers a great view from your new living room. 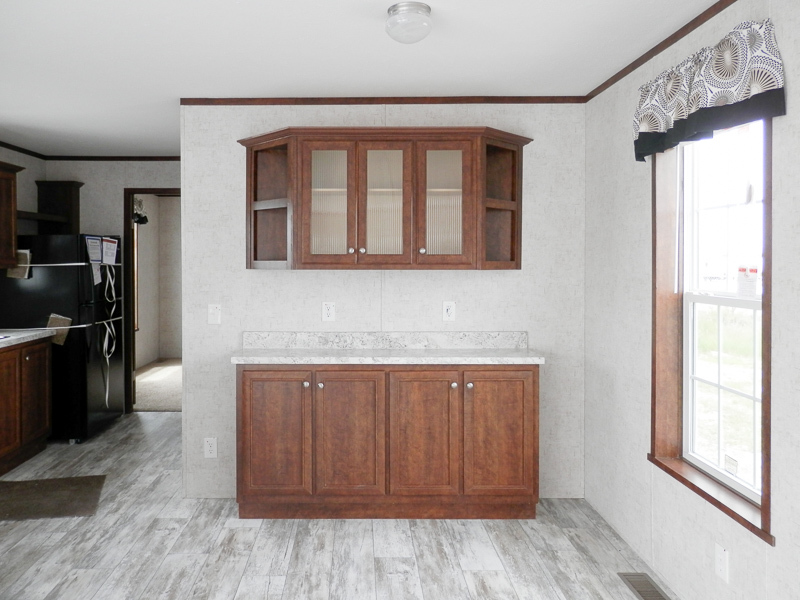 The Optional Transom window over the shower offers abundant natural light in the master bath. 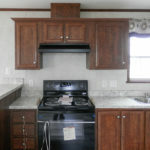 Optional bar, optional Spring Carnival counters tops/backsplash, Barnwood Vintage linoleum and standard St Louis Maple cabinets. 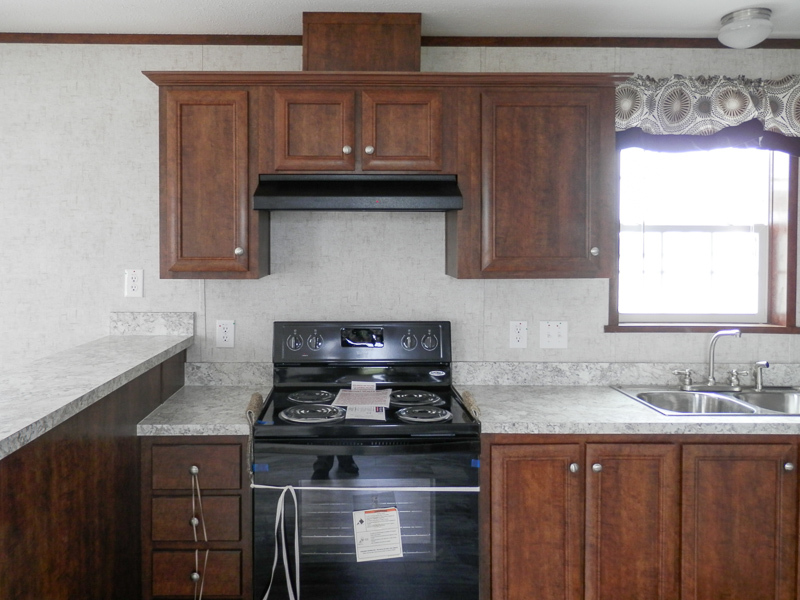 Standard electric range, St Louis Maple cabinets and optional Spring Carnival counters/backsplash. 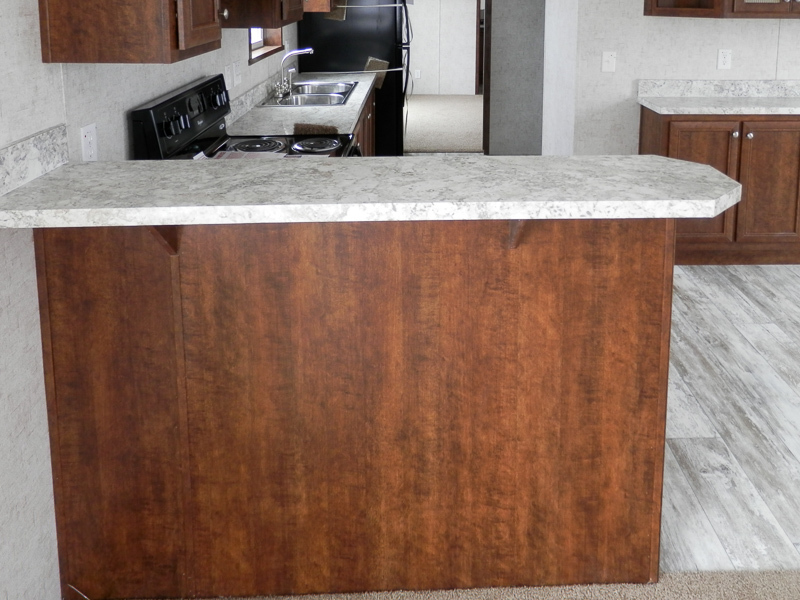 The optional bar in the Newton model is the perfect spot for a quick lunch or morning coffee. 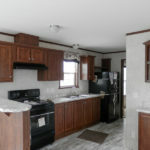 Optional dining room hutch, barnwood vintage linoleum, scout canvas walls, optional Spring Carnival counters/backsplash and standard St Louis Maple cabinets. 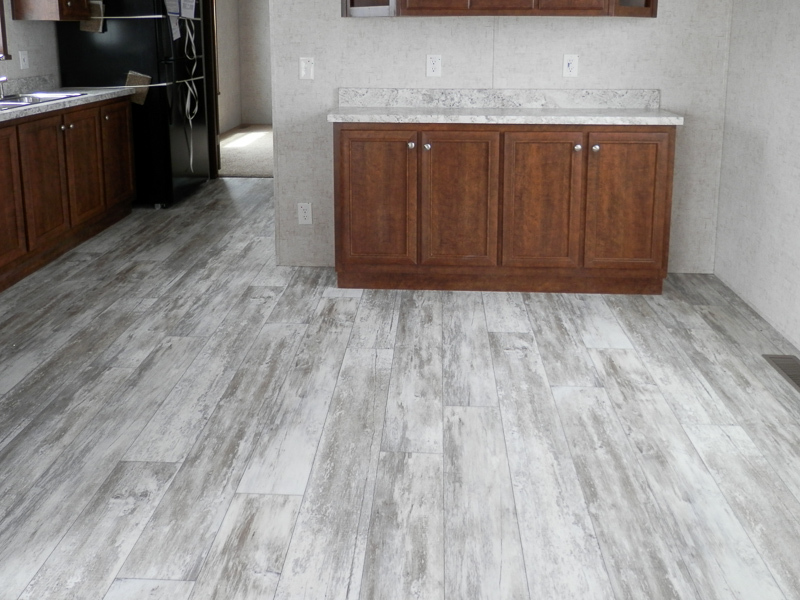 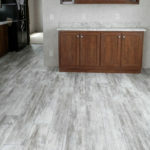 The Barnwood Vintage linoleum gives that rustic feel while looking modern enough for most any décor. 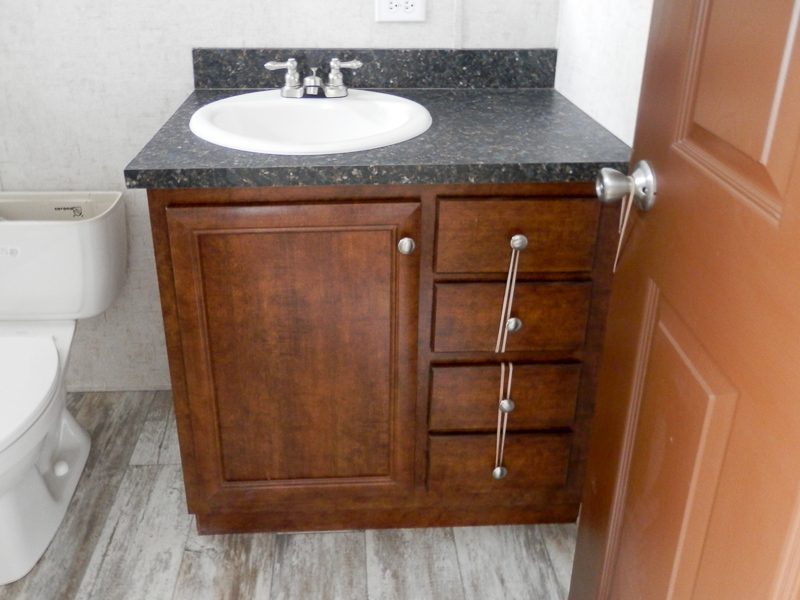 Porcelain sink, Barnwood Vintage linoleum, optional wood tone interior door. 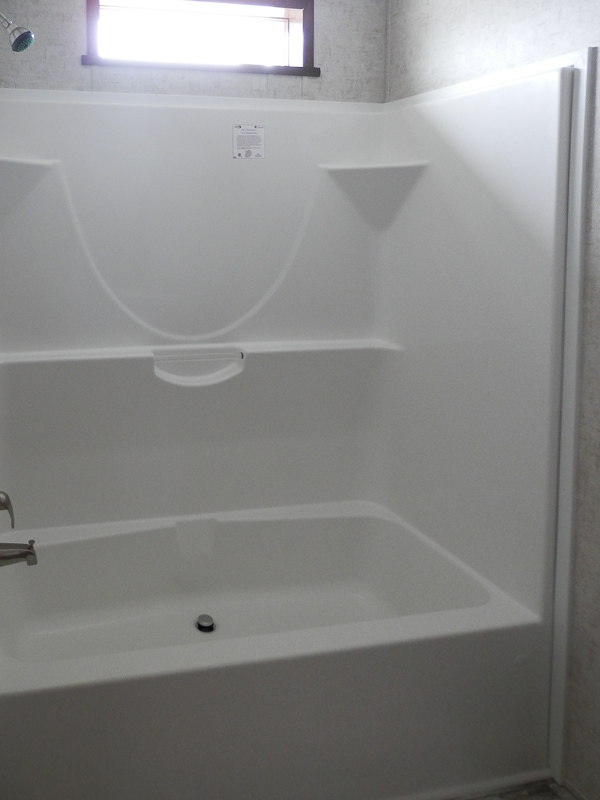 60″ One piece fiberglass tub/shower with optional Transom window above. 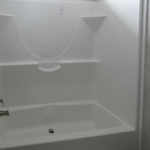 This one piece tub/shower will not crack, leak and stain like the plastic two piece versions seen in homes of lesser quality. 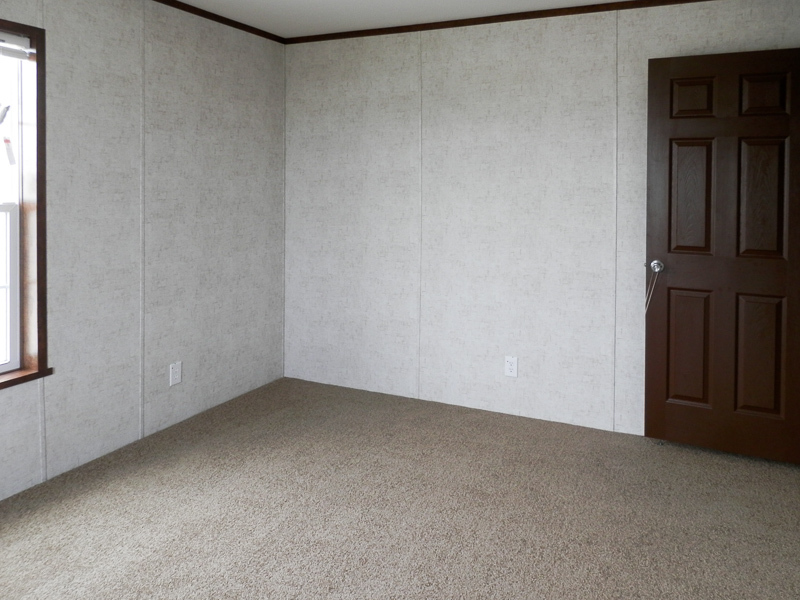 Scout canvas walls and Brownwood carpet. 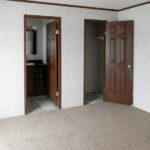 Scout canvas walls, Brownwood carpet and optional wood tone interior doors. 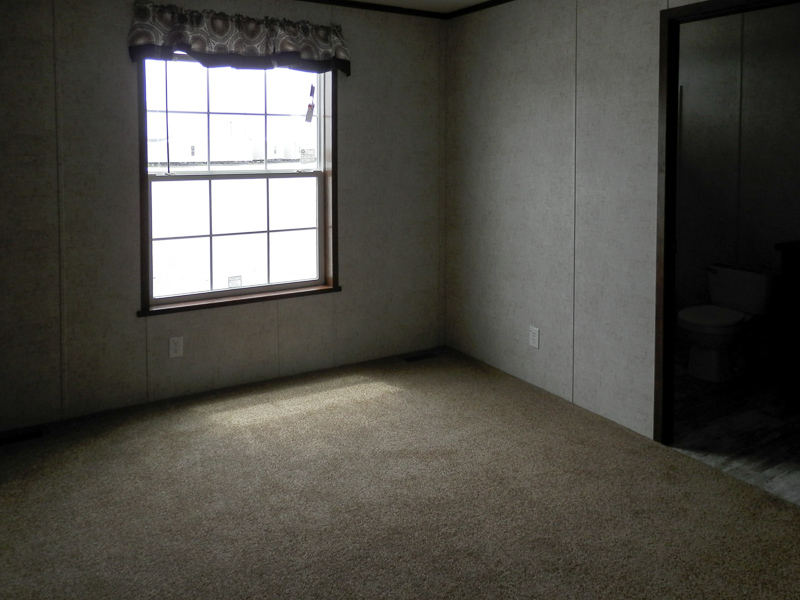 Spacious bedroom with Brownwood carpet and scout canvas walls. 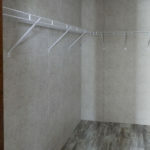 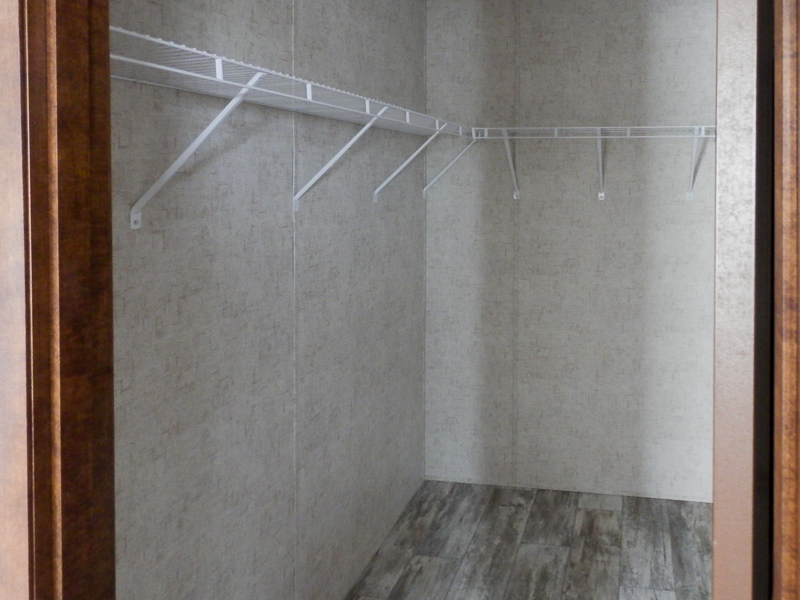 Large walk in closet in bedroom #2. 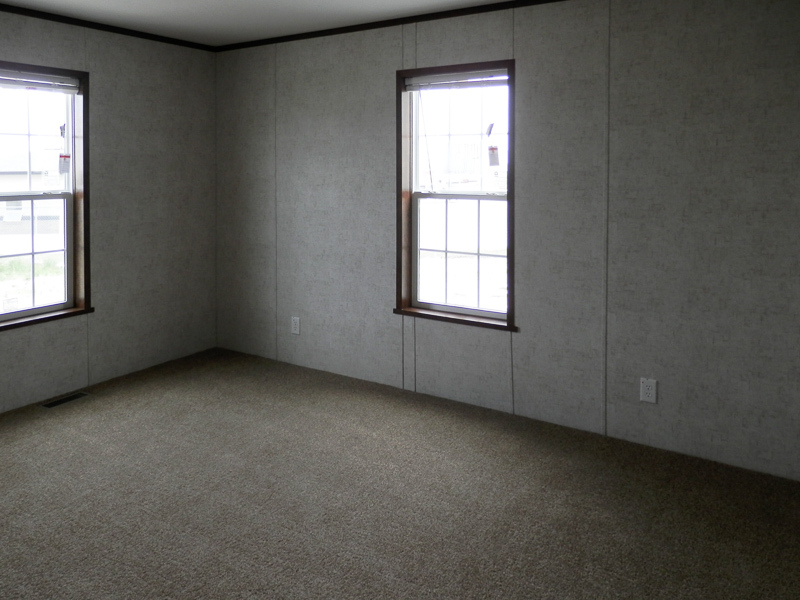 Large living room with Brownwood carpet, Scout Canvas Walls. 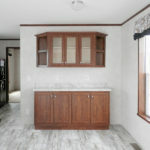 St Louis Maple cabinets in the kitchen. 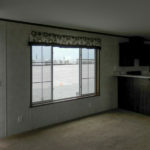 Optional picture window in the living room. 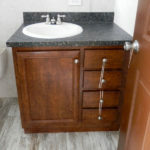 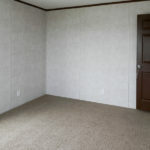 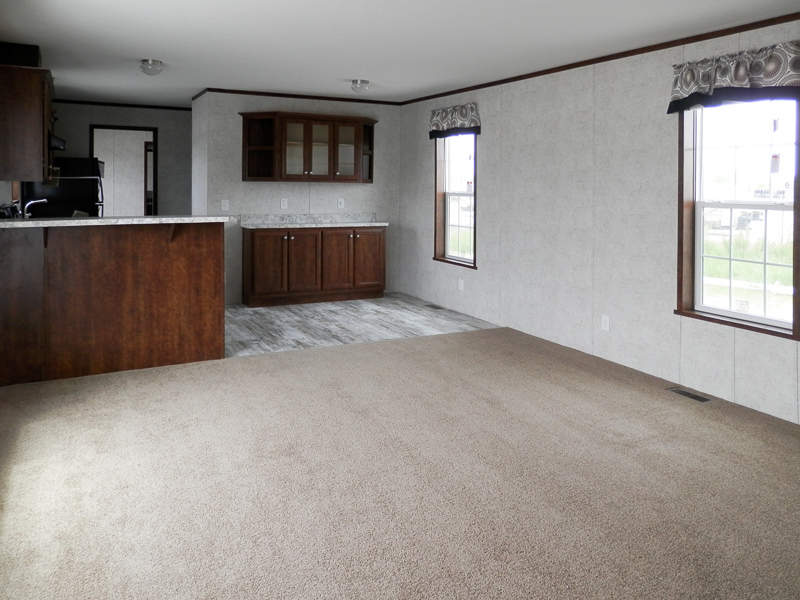 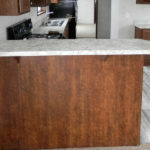 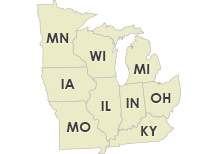 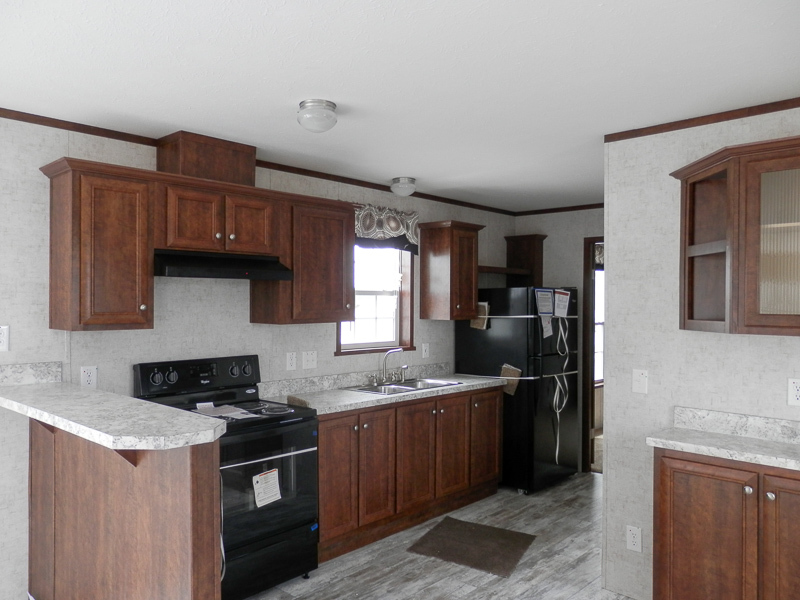 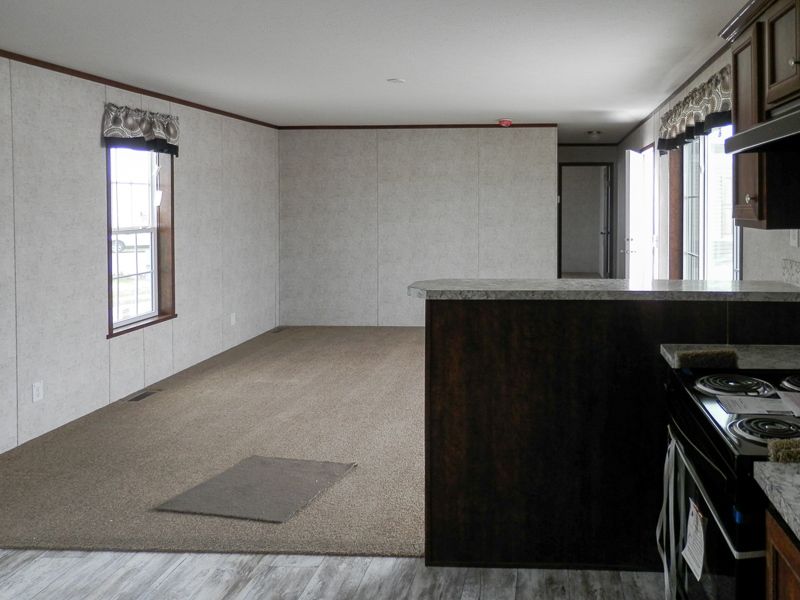 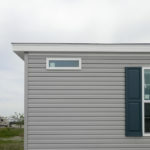 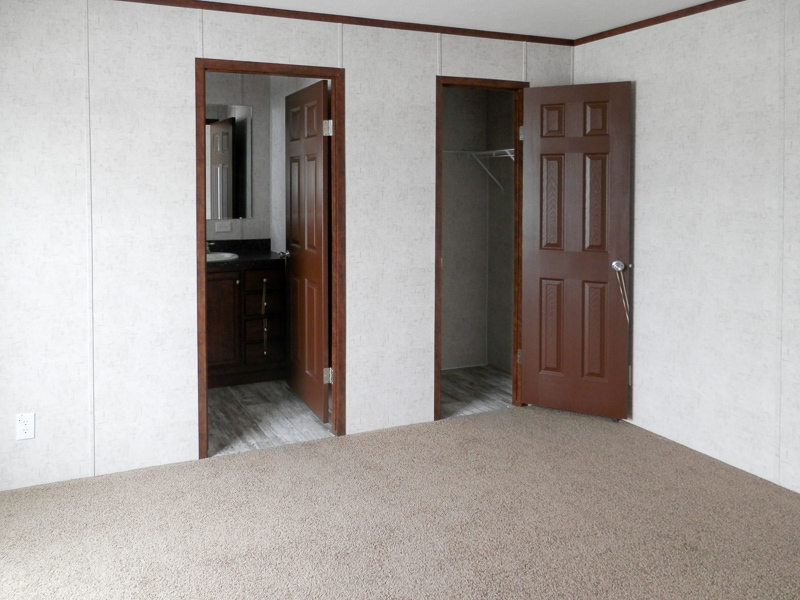 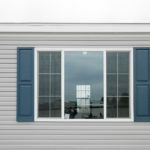 Ask your housing consultant about the other great features that come standard on the Newton manufactured home.